Up until this monthâs The Predator, the sci-fi franchise featuring an alien race that hunts humans for sport didnât spend much screen time building a vibrant universe filled with story rules. Predator (1987), Predator 2 (1990), and Predators (2010) all stick to the basic monster-movie premise: Predators hunt humans. The two Alien vs. Predator movies, loosely based on graphic novels produced by Dark Horse comic books, revealed that the Predators had been using Earth to hunt Xenomorphs since the early days of human civilization and taught us how to build pyramids. 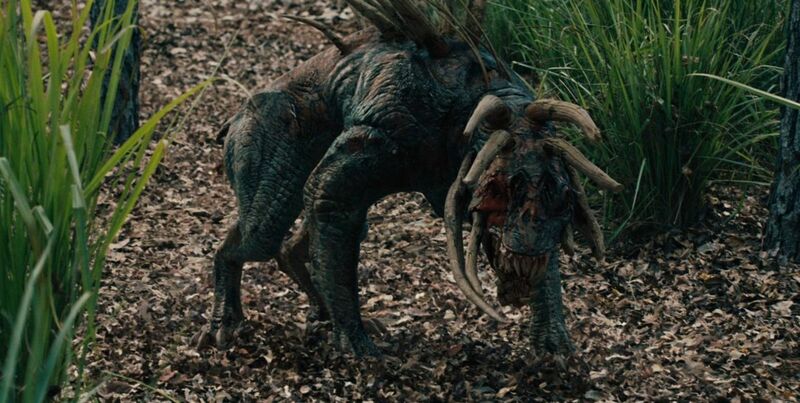 How does The Predator connect to Predator? There was a part written for Arnold Schwarzene ggerâs âDutchâ in The Predator, but the actor turned down. As Shane Black told Digital Spy, he understands why. âHe said, âLook, thatâs kind of a small part, and I donât really think I want to do that. Iâm off to do Terminator with Jim Cameron,â basically.,â Black said. âSo I totally got it, you know? If I was Schwarzenegger, Iâd want to be one of the stars of a film, or nothing.â Dutch isnât given a proper shoutout by name in the film, nor does he appear. The Predator owes everything to the first film even if itâs relatively light on direct references. There are references to a Predator incident in 1987, the first time Project Stargazer (the group studying the Predators) was made aware of the creatures existence. Two people survived that movie: Arnoldâs Dutch and Anna, played by lpidia Carrillo. They provide enough information back to the government that people are ready the next time a Predator shows up. Olivia Mun n flips through a still of the first Predator on a tablet early on (whoâ¦ took that photo? ), but otherwise dialogue and visual references to the first movie are sparse. There are the prerequisite Predator movie line references in The Predator â" someone is told to âget to the choppersâ (heâs talking about motorcycles), and the Predator is called a âbeautiful mother***erâ by Munnâs exobiologist as a twist on the âugly mother***erâ line that pops up in other Predator sequels. How Does The Predator Connect To Predator 2? In the first sequel, Danny Glov er plays Lieutenant Mike Harrigan, and is the second dude from Earth to best one of these supposedly superior alien game hunters. The movie was released in 1990, but takes place seven years in the future in 1997. We see lpidia Carrilloâs Anna on a tape at the original Predator site, indicating she helped the American government learn more about the species. This time, the Feds are so ready for a new Predator invasion, they have Gary Busey as Special Agent Peter Keyes on the ground in Los Angeles to track the new Predator when he shows up in the middle of a gang war between the Jamaicans and the Columbians. At the end of the movie, Harrigan beats the Predator and exits the alien spacecraft with a flintlock pistol, gifted as a sign of respect from the other Predators (indicating the Predators had been to Earth before 1987). Meanwhile, Keyes gets sliced and diced in a fight with the alien in a meat-locker. The good news is he had a kid before his untimely death! Gary Buseyâ s real-life son, Jake Busey, plays Keyes Jr. in The Predator. The young characterâs taken over his fatherâs obsession with capturing Predators, and unlike his father he actually succeeds â¦ for a little bit. Summer in the Predator Universeâs version of 1997 was an extremely hot one for Los Angeles, allowing for the filmmakers to replicate the âjungleâ from the first movie and build the idea that the Predators actually com e to Earth when it is hot. Alien vs. Predator has the hunting party return to an antarctic pyramid, but besides that one outlier, this seems to be one of the rare rules about Predators. In The Predator, we learn that the creatures are obsessed with humans because weâre actually an endangered speciesL Global Warming will wipe out the Earthâs human population in two generations, then the Predators will migrate to the scorching rock and take over our home. How Does The Predator Connect To Alien vs. Predator? It would be fair to assume that The P redator wants nothing to do with the Alien vs. Predator spinoff franchise, which exists separate from the Alien franchise (even though AvP: Requiem sets up a trip to space in its last scene), but that would be an incorrect assumption. The Project Stargazer collection of weapons also includes a spear used by the lone, human survivor of Alien vs. Predator. In the 2004 movie, a group of humans discover an underground pyramid where the Predator race keeps an Alien queen who wakes up every 100 years to impregnate some humans so the Predators can hunt Xenomorphs and prove themselves warriors. Things go wrong when present-day humans intervene and the queen almost escapes. To stop the queen, the female protagonist and Final Girl of that movie, Alexa âLexâ Woods (played by Sanaa Lathan) teams up with the Final Predator. The Predator makes her a shield out of a Xenomorph exoskeleton skull and uses the tip of a Xenomorph bone tail to make a spear. The friendly Pred ator dies fighting the Queen, but his friends/elders let Lex keep a Predator spear and her makeshift equipment as a sign of respect. Inexplicably, Lexâs Xenomorph-bone spear is on display in Project Stargazer, which...what? Xenomorphs exist and the Predators built the pyramids, yet weâre not concerned with any of that in 2018? Chalk this one up to an Easter egg, not a suggestion that Alien vs. Predator is canon. How Does The Predator Connect To Alien Vs. Predator Requiem? After one watch, there didnât appear to be any direct references to AvP: Requ iem in The Predator, but it does have some similar ideas. In the 2007 sequel, a Xenomorph-Predator hybrid the movie calls the âPredalienâ is let loose in Colorado and itâs up to a normal Predator to clean up the mess his species made by sport-hunting Xenomorphs with their masks off. Eventually humans have to nuke a whole town, though it looks like the Predator could have handled it so ... humanity blew everything up for no reason? However, this is the first occurence in the franchise of hybridization, or the combination of these fictional monster species. Olivia Munnâs character Casey references âhybridizationâ in The Predator, then lets it hang in the air like that is self-explanatory. The new perspective on the Predators is that certain groups within the species actually mess around with adding alien DNA to themselves. When they take the skulls by ripping the spines of humans out (like we see in every solo Predator film), they really want ed our spinal fluid as much as the trophy skull. 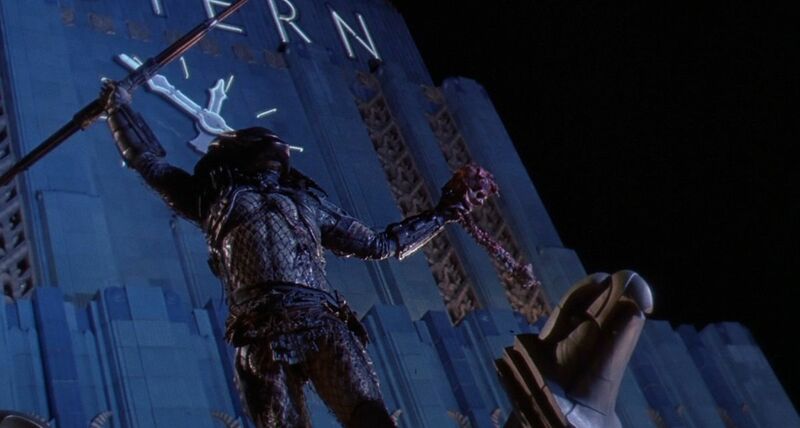 No one references the government nuking American soil in the past, but it wasnât until after 2007âs Predalien that the Predator species started doing a lot of in-fighting. 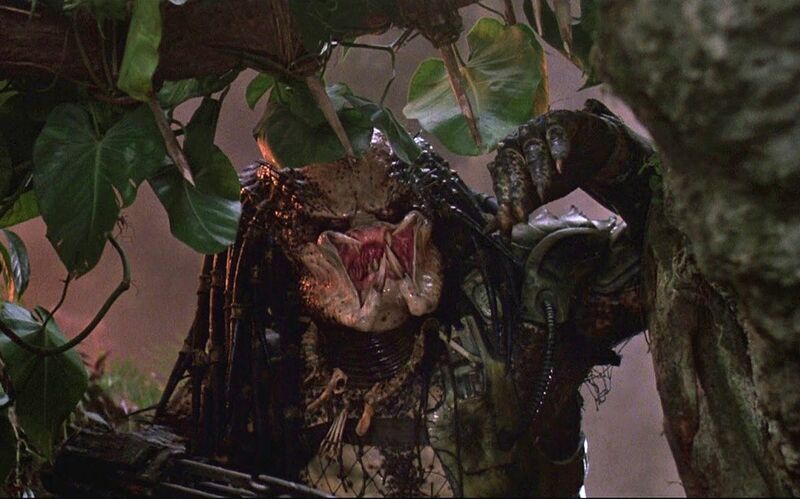 How Does The Predator Connect To Predators? Director Nimrod Atalâs 2010 film Predators is about a group of the most dangerous humans (twist: theyâre the Predators this time, ha ha!) who wake up on an alien planet that the Predators are using as a hunting ground. As explained by Laurence Fishburne, there are two groups of Predators on the pla net, and theyâre in a blood feud, and turns out that the Predators humans have been beating on Earth for four films were the small ones. Enter: Berserker Predators â" bigger, uglier, and up for killing both normal alien Predators and our human predators. Except Adrian Brodyâs Royce and Alice Bragaâs Isabelle, they kill the Berserker Predator leader and live to the end, but are still stranded on another planet. There arenât any direct references or Easter eggs from Predators in The Predator, but there are a ton of similar ideas. First, these are the only two Predator movies that include âPredator dogsâ even though they have very different designs, with Atalâs versions having more spikes and more shots achieved with practical effects. 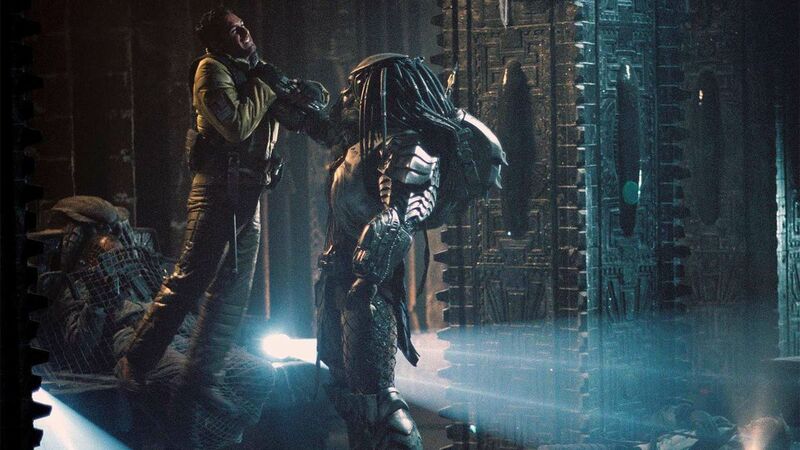 Second, Predators introduced the concept of inner-species blood feuds between larger Predators and smaller Predators, and the newest movie suggests that conflict has been raging for a long time. The bigger, badder Predator in The Predator is called the âUpgrade Predatorâ because he has fused himself with alien DNA that gives him armor that grows directly under his skin, like a crab-shell. It it also much taller, much more aggressive, and doesnât wear a mask to see. We arenât told what DNA is in Upgrade Predator, but the other Predator in the film (The Rogue?) is found to have human DNA in him. Their fight leads to the main conflict on Earth, where The Predator begins carving out its own canon. Will we see a sequel? Shane Black sets one up. Or maybe the next reboot 10 years from now will have to piggyback off The Predator to make itself work.